This is another idea for this upcoming Valentine’s Day. It’s super fast and easy, involves melted chocolate 🙂 ( who doesn’t like that? ) and you can make it with your favorite cookie, because we are cutting the heart out after the cookies are baked and slightly cooled. I shared before that my Hubby’s favorite cookie is the Snickerdoodle. This is our favorite recipe for Snickerdoodle cookies. Preheat your oven to 375 degrees. Line the baking sheets with silpat or parchment paper. Set aside. In a large mixing bowl, mix butter until creamy. Add the cup of sugar, soda and cream of tartar. Beat until combined. Add the flour and mix until all combined. In a small bowl, whisk with fork the remaining sugar and cinnamon. Scoop the cookie batter with a cookie scoop and roll each ball in the sugar-cinnamon coating. Repeat to make all the cookies. Bake 10 – 12 minutes, until the edges are turning golden color. 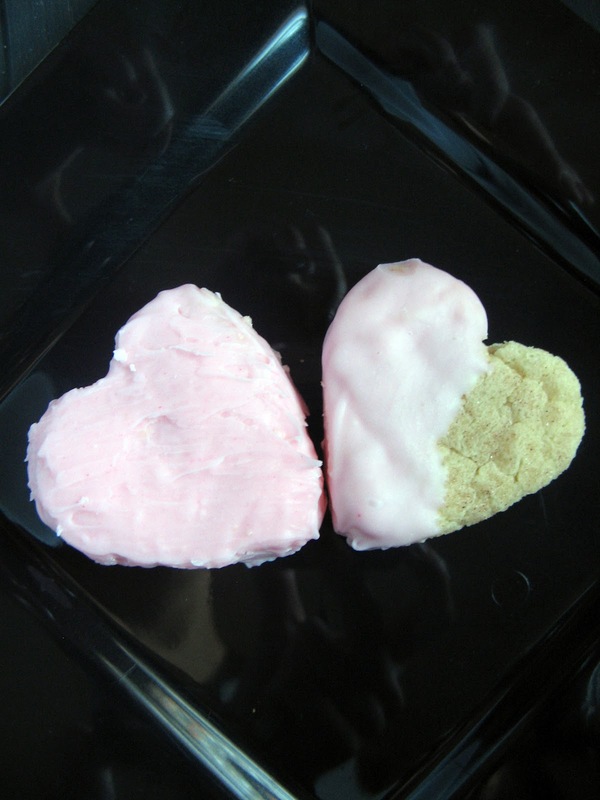 After your cookies cooled slightly, cut out the hearts with cookie or fondant cutters. In a microwave safe bowl, melt the candy wafers according to the manufacturer’s instructions. I always add about a tablespoon of shortening to thin it out. Whisk until smooth. Dip each cookie, desired way, and place on a wire rack so the chocolate can set. It’s a great activity for kids. I know – I have two Girls that love to help me in the kitchen! Yum!! I love snickerdoodles as well and never thought to dip them in chocolate!! Great idea! Thanks! Yay! Please, let me know if he liked them. Thank you, Ruth! I just found your blog thanks to Pam and have signed up to follow it! My great grandmother always made us kids Snickerdoodle Cookies. She would have loved your version! Hi Linda! Thank you so much and welcome to CCS! Perfect for this valentine season.. These are adorable! I want to make them for valentines day!! Thank you so much, Becka! Didn't we just bake for Christmas? lol 🙂 Thank you so much, Ramona! Hugs! Beautiful hearts! Look so tempting! ADORABLE! Love this, and bet your hubs and kiddos loved them even more. Luckies. My favorite cookie is anything with chocolate or nuts or coconut or…anything. I adore cookies so much. lol 🙂 Thank you, Sweet Maggie! What a sweet idea for Valentines. Snickerdoodles are one of my family's favorite cookies, too. I imagine they'd love them served up like this. Thank you, Lizzy! I am with you on dried cherries – yum! The heartshaped snickerdoodles are really lovely! Pink icing sounds fun too. Well said, Raquel! Thank you for visiting! 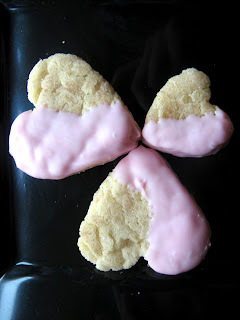 These heart shaped dipped cookies is a great idea for Valentine's. How cute… and pretty too. I love shortbread cookies, though. 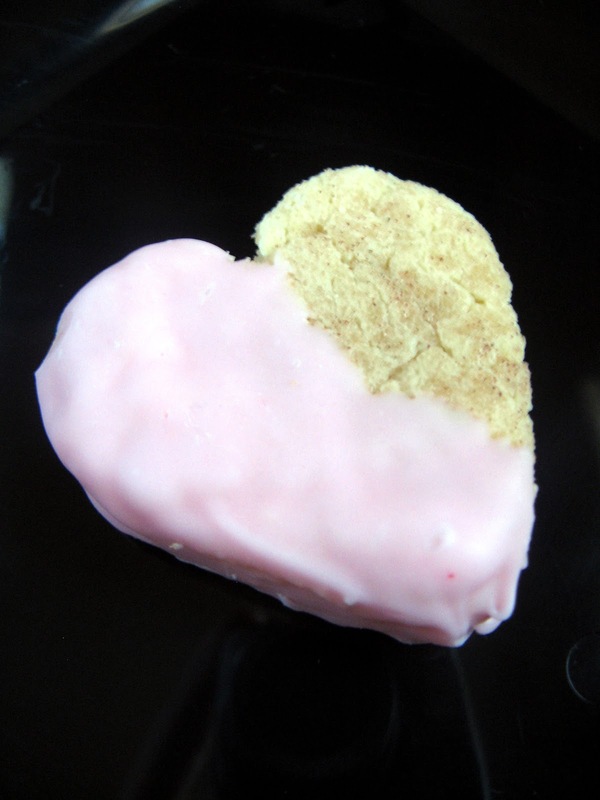 These heart shaped Snickerdoodle are such a lovely Valentine day “gifts”. Your hubby must be smiling while eating these thoughtful gifts. He was! 🙂 Thank you so much, Zoe! Little helpers in the kitchen do make things a little bit more enjoyable. I really like this idea of dipping the cookies for Valentine's day. You did an amazing job! I am surprised that the dough held its shape when baking, since the cookies are not really known for being cut out. Your husband does have great taste,snickerdoodles are an all time favorite-yum! Thank you, Tina! My Girls have lots of fun dipping cookies in chocolate 🙂 ( psst.. so do I! 🙂 ). I cut the hearts out after the cookies were baked. Like you said, snickerdoodles do not hold their shape while baking.